Events El Pinar lounges and patio, where you can live any kind of celebration you want to perform in magnificent facilities. In CORTIJO EL PINAR we help you organize the most important day of your life, in the company of family and friends in our classrooms. In First Communion day is always the day of children. In CORTIJO EL PINAR we address this long-awaited day in the hearts of children is special for all friends and family. The arrival of an offshoot of the family is always cause for joy in CORTIJO EL PINAR we offer our rooms for the day of his baptism. So many years sharing everything, seeing growing family, children, grandchildren ... time to renew that commitment alongside the most beloved people has arrived. We also have the ideal venue for business meetings. 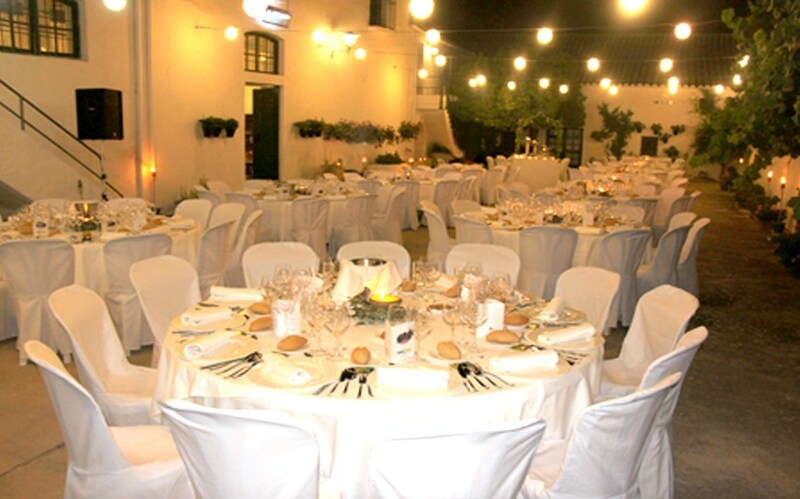 The Central Patio magnificently manicured, lighting of spaces make CORTIJO EL PINAR destination of the most exclusive events of Montilla. With access from the central courtyard, ideal for all kinds of celebrations and decorated with wineskins large, hence the name Bodega Giants.